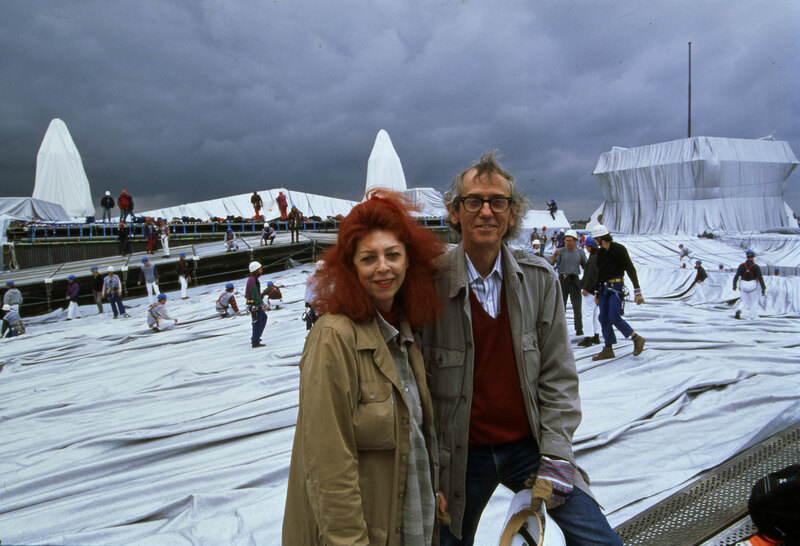 Christo, you and your wife Jeanne-Claude were born on the exact same day in 1935, but in completely different countries. Do you believe in destiny? Jeanne-Claude always said, “There are a million people born on the same day.” But it happened that we met, that’s all. That is something not unusual. But there are many things that are not destiny. You make your own destiny. You worked together for nearly 50 years. Would you have become the same artist without her? It’s the same question to ask, “What would happen if I were Chinese?” (Laughs) We cannot discuss these things - if, if, if – there are no ifs. After living for 80 years, there are no ifs. I can only say one if and it was that I was rather lucky to escape in 1957 to the West. I had never been outside of Bulgaria until 1956 and if I didn’t go to the West, things would have probably been different. The Soviets had a very strict policy against modern art so you might have not made art at all. I was drawing all the time as a little boy, like 5 or 6 years old, and it was at this age that I decided to be an artist. There was never a thought about anything else. But it’s true, in the late ’40s and early ’50s most modern art was not permitted to be seen in the Soviet Bloc countries. There were some very bad reproductions and old books… I desperately tried to go beyond Bulgaria and the Soviet Bloc, but even going to other communist countries was very difficult. Fortunately my aunt and my uncle were living in Prague and finally I succeeded in finding a way to visit them. And I was totally flabbergasted by Prague! It was the most Western country. Even before the chance to fully escape came into view, I had already decided that I was never going to go back to Bulgaria! I was going to stay in Prague. I was young, like 21 years old, and when you’re young and you discover the relatively small freedom of the Western art in Czechoslovakia and Prague in the late ’50s, suddenly you dream of going to Paris! And this is how the stage was set for me to go to Paris. And that made all the difference after all. It was there that you met Jeanne-Claude and you were together until her death in 2009. How has your life changed since she passed away? We are missing her all the time, you know? You should understand that living with one person for over 50 years, we miss many, many things. Probably one of the greatest things was that she was always very critical of anything we tried to put together. You can see in many of the films the Maysles brothers made about our work how vigorously we argued with each other – almost fighting each other! This is the thing I miss the most because it is so important to the process of what we are doing, to have this critical attitude all the time, not bending, not compromising. But there are many, many things. Many, many things. Is it true that you always flew in separate planes so that in case one crashed the other could continue the work? Exactly, because we are always working on two or three projects and at least one should finish the project that was very much advanced. That was the story. I remember often we would take different planes, then on the way to the connecting flight we would kiss each other and take another plane. Was it natural for you to continue making work alone after her death? To be a visual artist is not a profession – it is existence. In the Maysles’ film The Gates, she is in a car and a journalist is asking, “You’re very advanced in age, will you retire?” And Jeanne-Claude says, “Artists do not retire, they simply die.” It’s not a profession, it’s existence, you know? You exist through art. You cannot even compare it to other professions, in the office and things like that. Because all the people that were working with us knew that everything was decided by both of us. Jeanne-Claude used to say that everybody can have ideas. But to implement it, you need enormous gifts in many areas. Sometimes it was my idea, sometimes Jeanne-Claude’s idea, but the idea is nothing. They need to be implemented and all the choosing how the work should be done was all done together. What does that process look like? Your projects are often incredibly complex. In the studio here in New York City, in Manhattan where I am working on the top floor, I put our idea on paper using drawings, collages, scale models, anything… But the work is always decided by life-size tests on a very small section with 1:1 scale. 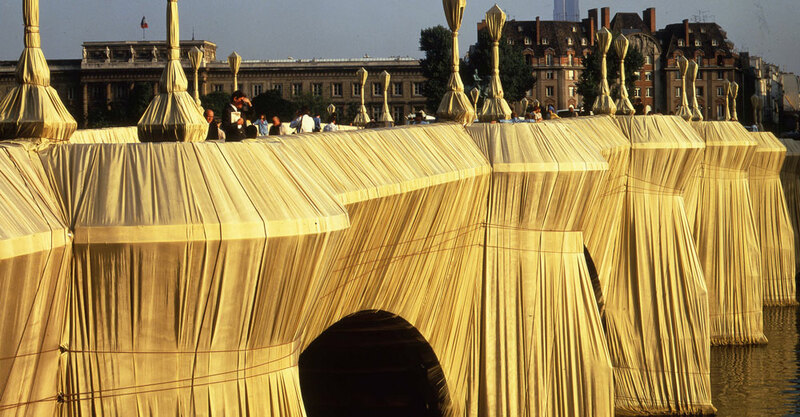 Then when I see them in place, me and our collaborators can choose the right cables, fabric, colors, thickness, weave. And that is done for all the projects. The life-sized test is not decided by me or by her, but it’s decided by that consensus with the real light, the real weather, the real site. What do you mean decided by consensus? I’ll give you an example. When we were doing The Umbrellas (Joint Project for Japan and USA) there were the umbrellas and we decided on the proportions, the height and stuff. 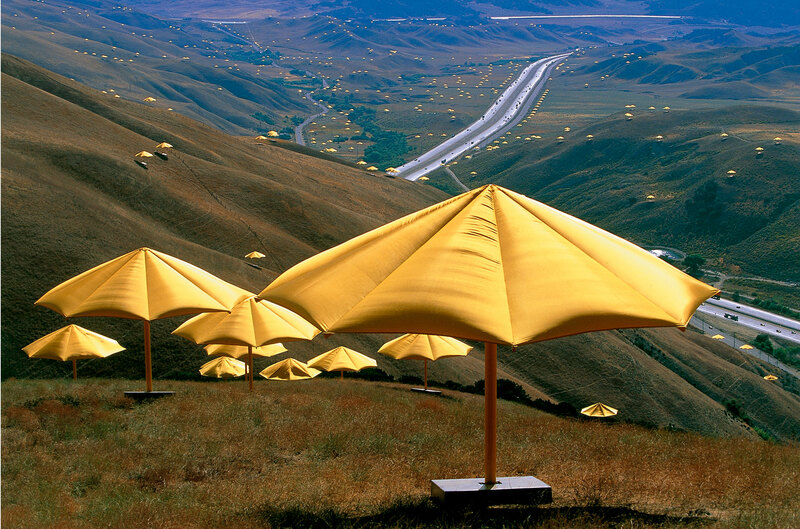 But at the very end we had to decide on the color, and there were many yellows and blues and we built several umbrellas at 1:1 scale, blue and yellow, and we positioned them on the site of the project and in the season during which the project should happen. We tried to see how they looked from far away, from one kilometer away, in the sun, on a gray day, when it’s wet from the rain in Japan, all these things. All these things aren’t just decided like that, you know? The process, the realization of the project, is a very collaborative work. The drawings are only indications, after that we have to move to the real things. You just turned 80 this year. What feelings do you have when you look back at your life now? (Laughs) I don’t like looking back at my life! I am so excited and happy that we have a new project and that we have a problem or two – just off the top of my head! I am not interested in spending any moment, any hour, to do a so-called “retrospective” exhibition. I always think that they can do a retrospective when I’m dead. I really like to do new things. I love enjoying that I am physically capable to do the new project, I am enjoying the physicality of the new project, the people I meet, the young people. 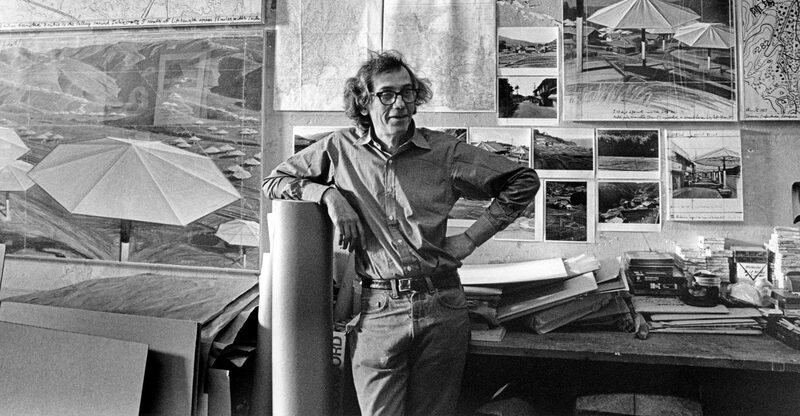 I guess that’s why even at 80 years old you still have three major projects in the works – one in Italy, one in Colorado, and one in Abu Dhabi involving 410,000 barrels that will be the largest sculpture in the world. Absolutely. If you go through all of our images, they are all unique images. We never built another gate, we never built more umbrellas, we never wrapped another parliament, we never built another Running Fence. They are unique things, they are their own physicalities. This is what we enjoyed most because they are adventurous and not boring. 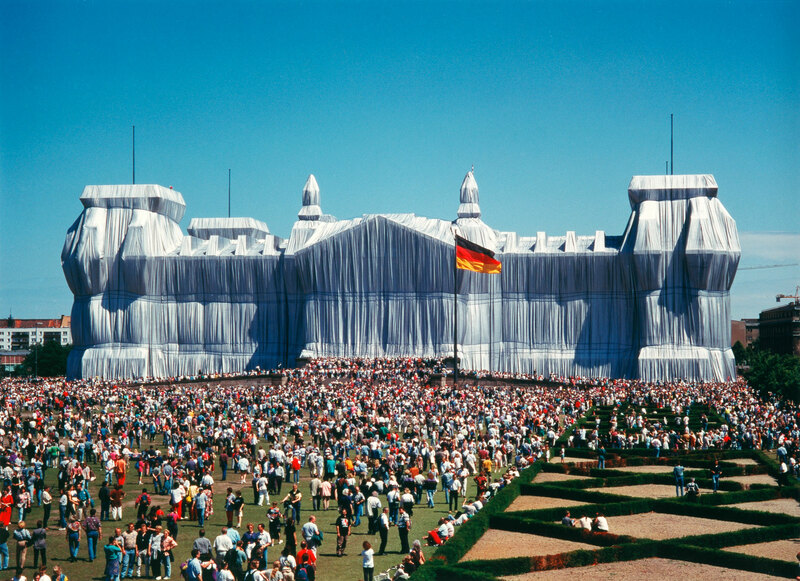 For example, after The Gates we had so many people from different cities come to us and say, “Can you install the gates in my park?” It’s idiotic… Our projects are not like that. They are all a new challenge. Is that desire for creating something new also why you create art that doesn’t last? Do you consider the photos of your art also artworks in and of themselves? Of course there are films, there are photographs, there are objects, there are drawings, there are many additional things. But all of that together is not a substitute for the project. It is the material historically related to the project and it is a great source of information about the project. But it’s not a substitute, because the unique moment cannot be canned. This is an important aspect of our temporary works. The work of art is not one gate or two gates or three gates. 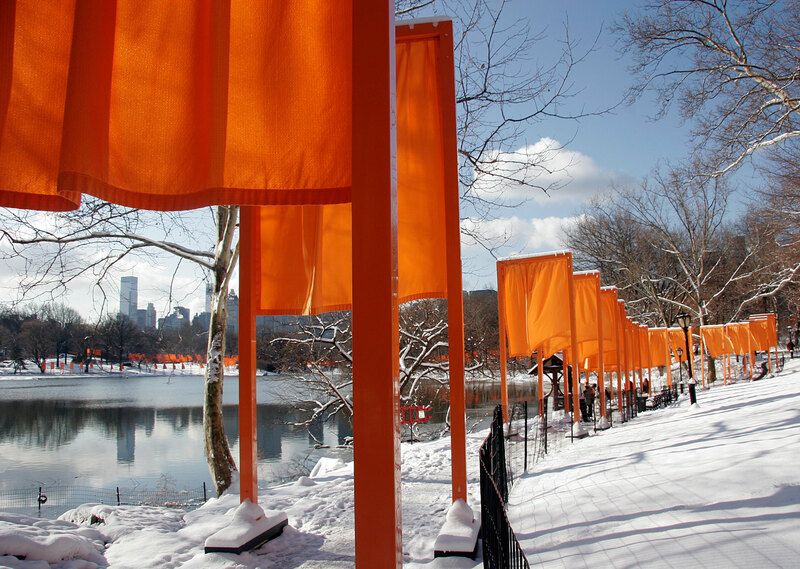 The work of art is 7,503 gates, on 23 miles of walkway, in Central Park, in New York, and so on. All that is the work of art. Pink fabric in Florida is not the work of art. You sometimes fight for years to get permission to realize your projects. 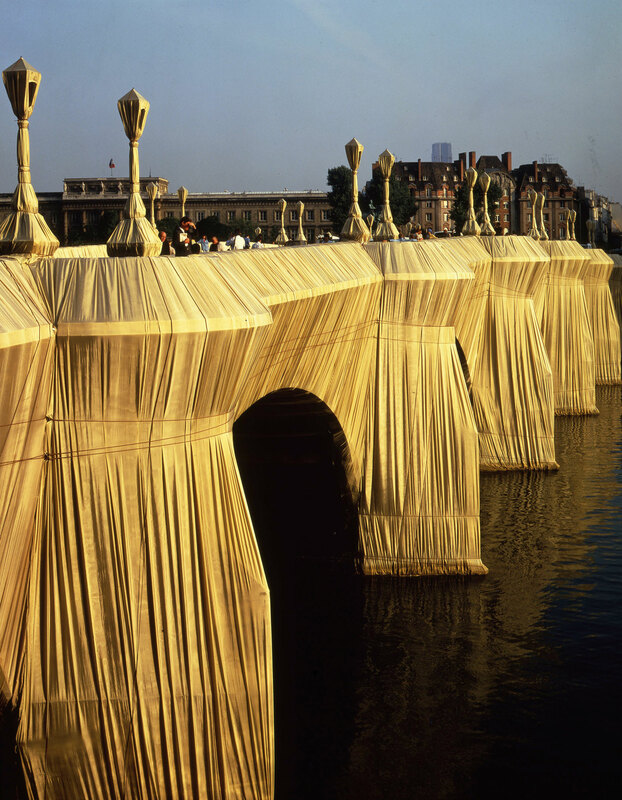 Wrapping Pont Neuf in Paris took nine years of negotiations and wrapping the Reichstag around 25 years. Once you’ve worked on something for that long and it’s finally finished and you go and look at it, what feeling do you have? All of our projects, because they exist so briefly, Jeanne-Claude and myself, we like to spend time with our baby. Basically we spend from morning till evening with the things while they are visible. We say to our friends who come from around the world, “We don’t want to talk to you! We’ll talk to you in the evening.” We don’t like to see anybody except the things. Sometimes the project is very difficult, like The Gates was so public, or some projects like Umbrellas in Japan we need to travel. It was so vast, so great, you need to walk it, spend time in all kinds of different places, to enjoy it, to be there, to see it in the morning light, in the midday, in the evening. We worked so hard to install each umbrella in the perfect location that I could go to every single umbrella to see how it looks! So basically the moment the project is exhibited, we like to be with the work, like it’s our child, all the time, nonstop.